The characters of Game of Thrones have continually grappled with agonizingly intense situations. A world away from the comfort and modernity often found in other prestige dramas, our Westerosi heroes have become accustomed to slaughter at weddings and frequent, grisly beheadings. And of course there are the infamously bloody battle scenes, shot on an epic scale and making up some of the most memorable moments of the show. The body count is brutal, and – in the real world – the filming process can be pretty gruelling too. 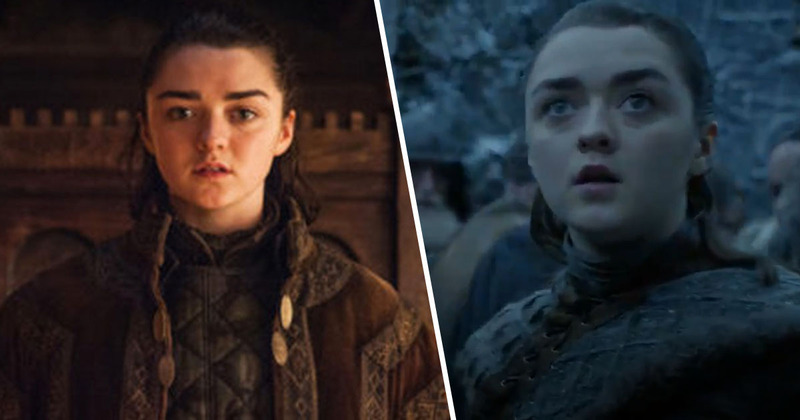 Speaking with Entertainment Weekly, Maisie Williams – who plays tomboy turned assassin Arya Stark – revealed how season eight director Miguel Sapochnik had advised her to start training a year before filming kicked off. However, the 21-year-old had not anticipated just how exerting the final season’s battle scenes would be, leaving her ‘mentally and physically broken’. Nothing can prepare you for how physically draining it is. It’s night after night, and again and again, and it just doesn’t stop. You can’t get sick, and you have to look out for yourself because there’s so much to do that nobody else can do… there are moments you’re just broken as a human and just want to cry. Now, Game of Thrones has previously delivered battle scenes capable of pinning you to the sofa, jaw firmly planted on the floor. However, it would appear season eight will be taking things to a whole new level. The hotly anticipated Battle of Winterfell will be ambitious on an unprecedented scale. This battle will be longer and bigger than any other battle in TV and film history, even greater than The Lord of the Rings: The Two Towers’ visually breathtaking 40-minute Helm’s Deep siege. What we have asked the production team and crew to do this year truly has never been done in television or in a movie. This final face-off between the army of the dead and the army of the living is completely unprecedented and relentless and a mixture of genres even within the battle. The episode chronicles the great battle of Winterfell, pitting an uneasy collection of allies against the Night King and his army; a face-off teased from the series’ very first scene. It’s one of two in the final season directed by Miguel Sapochnik, who previously tackled Hardhome and the Emmy-winning Battle of the Bastards. Here fan favorites like Jon Snow (Kit Harington), Daenerys Targaryen (Emilia Clarke), Tyrion Lannister (Peter Dinklage), Arya Stark (Maisie Williams), Sansa Stark (Sophie Turner), and Brienne of Tarth (Gwendoline Christie) are fighting for their lives, impossibly outnumbered against a supernatural enemy. The eighth and final season of Game of Thrones will return April 14, 2019.